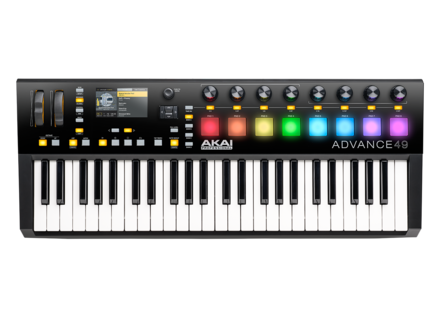 Advance 49, 49-Key MIDI Keyboard from Akai in the Advance series. After a whole weekend spent getting used to this Advance 49 keyboard, my first conclusions: an excellent keyboard, very pleasant to be played, with great egonomics. On the other hand, the VIP software that comes with it is what I'd technically call "a real pain in the arse". Installed on booth my computers, it keeps bugging and its ergonomics is rather dubious. The scan of available VSTs is easy (the included mappings aimed at automatically detecting the most common VSTs' presets work perfectly), but only two folders can be entered - so any VST installed elsewhere won't be detected. And when they are, you end up with an endless list (3500 sounds for some of them) to be scrolled through - a thing I already hated in the Arsenal software that came with the M-Audio Trigger Finger and which was made by the very same developer, AIR Music, an Avid affiliate company. I won't even mention the countless bugs, freezes and restarts of the VIP (while both my computers are well powerful enough: Win 7 with Core 5 & 7/8 & 12GB RAM, and they work perfectly with all other computer music and video softwares). The most frustrating is that when doing a Multi (a stack of VST: the main reason why I got this keyboard), you can't (so far, hopefully they'll fix this in an update) listen to a preset without erasing the previous ones that you chose. Clicking "Enter" on a VST to choose a sound erases everything, you must restart from scratch. All you can do is drag and drop presets in the Multi blocks, without previewing (well, prelistening) them. Or, you have to listen to each of them before, separately, but then how to know how they'll work well with the others in the Multi? 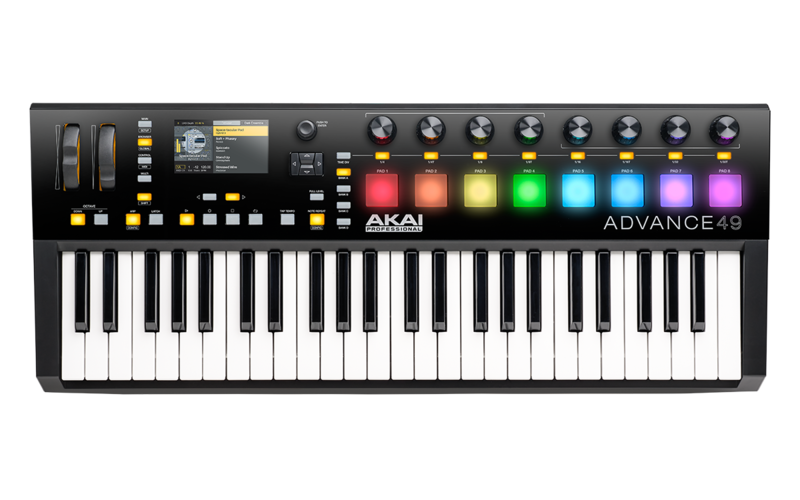 In short: it's a great MIDI keyboard/controller (it deserves a full 5 stars), but the VIP software is to be improved - quick! On the other hand, the software bundle that comes (freely) with the keyboard is really worth having, with great plugins and synths (such as Hybrid 3, Velvet, Xpand and others). It also includes Transfuser 2, which offers interesting possibilities for remixes - and normally costs $150 on its own!